The "Chronus Fragments" are needed to prepare for the "Time Rewinding," which only takes place once every 10 years. On their way to the Chronus Shrine to get the Fragments, Loka and Teth are surrounded by a mysterious man named Geppel and his gang. They demand the Fragments. While Teth plays for time, Loka, the main character, rushes out of the cave on his own to fetch reinforcements. He is successful, but Teth and Geppel are nowhere to be found. Aiming to gather information about his missing teacher, Teth, and Geppel, who is trying to get his hands on the Fragments, Loka decides to set out on a journey. Accompanying him is Sarna. Beyond the Gates of Time, there is a past. 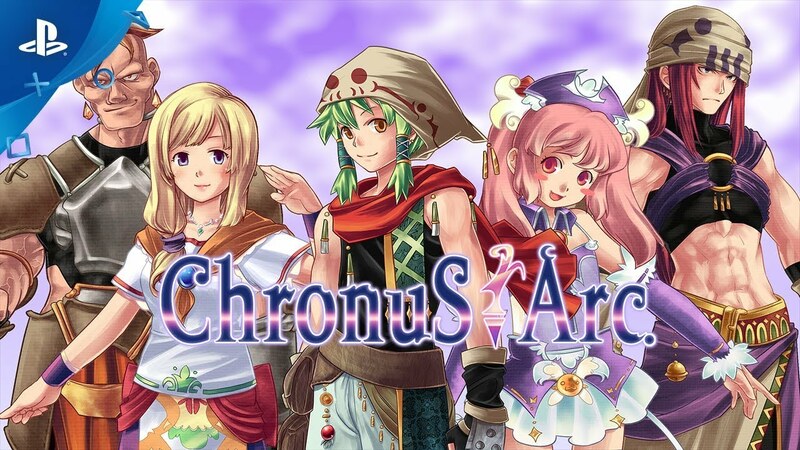 The Houra God, who created this world and everything in it, also made another world: the Chronus World. The Chronus World is identical to this one, but there, time is stopped. The Houra God separated the two worlds with the Gates of Time. Once every ten years, the two worlds were compared, and the better world was stored, exactly as it was, in the other world. This process continued over countless ages, and because of it, the world developed well. But even Gods are not perfect. As he approached death, the Houra God wanted the development of his world to continue. So that the Chronus World did not hinder the growth and development of the current world, he smashed into pieces the Chronus Energy, the energy that allowed the Chronus World to be saved to the present. In the dungeons, there are various puzzles that need to be solved. There are boxes and pots that need to be moved, switches that need to be pushed to make something happen, and you will sometimes even need to make use of enemies to get past the obstacles that lie in your path. Even if you fail to solve a puzzle, you can reset it with just a button press, so it's easy to try as many times as you want to. You will randomly find yourself in battle when in the field, and in dungeons, you will start a battle if you touch an enemy. Battles are conducted by selecting commands, with a turn-based system. Some enemies may be surprisingly weak against certain elements. It's always a good idea to turn the battle to your advantage by trying to find these weak points. You can obtain techniques from treasure chests and from enemies. Just like weapons, you can equip yourself with techniques. There are various techniques: some increase magic power, for example, and some change the range of effects. By equipping yourself with more than one technique, you can combine their effects. However, some magic and techniques don't work well together. You'll need to try different combinations to find the ideal sets. Also, you can gain a whole range of Boost Manuals from a certain traveling character. With these Boost Manuals and materials you have collected, you can create new weapons at a blacksmith's shop, or strengthen weapons you already have. It's a good idea to collect as many Boost Manuals and materials as you can, in order to increase your fighting strength. In the shrine in Iatt, you can change your class. In order to do so, though, you need to be at a certain level, and you need to have gained certain items especially for class changes, which will disappear when you use them. After a class change, the character's title will change, and his/her level will return to 1, but any learned magic and skills will not be forgotten, and the character's previous status will be carried over to an extent. Characters become stronger with each class change, so it's a good idea to change regularly!